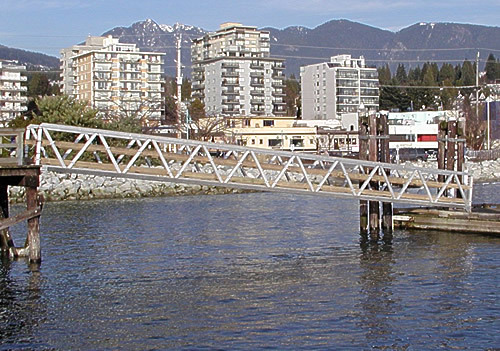 Post & Diagonal – This is the most popular design used for access to marine floats and docks. This style allows for longer lengths due to it's light weight, as well as being relatively inexpensive to build. 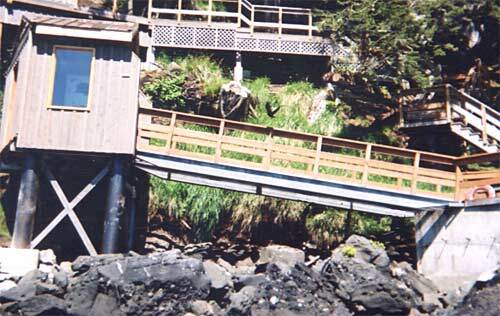 The V-Truss acts as a side handrail. V-Truss Design – V Truss is also very popular. It has the same qualities as the post and diagonal but is more pleasing to the eye. 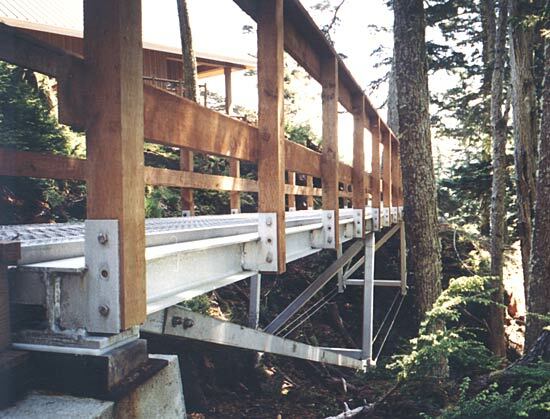 Solid Beam – An alternate truss system that can be used for permanent bridges or walkways, that are less than 40ft long. This type of truss is heavier but provides a clean line and allows for a smooth surface. King Post Design – this design is used when the least amount of visual impact is desired. NOTE: The ramp should meet the minimum snow load for the area. 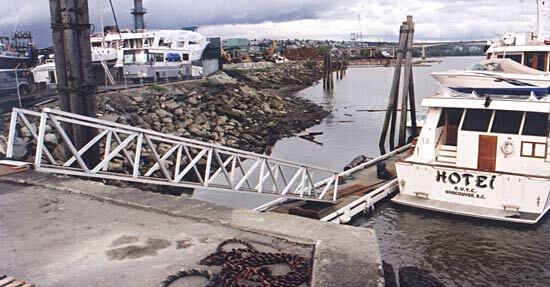 Please keep this in mind when designing your ramp/gangway.